Indy Voters: Here’s Your Chance to Oust an Ed-Reform School Board Incumbent. 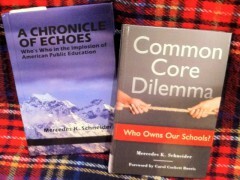 When it comes to killing traditional public education in favor of market-based ed reform models that remove the community control from its own schools, market-based ed reformers means business– and the public would do best to believe that there is a market for the usurping of community influence over schools. The startling news included in Cimarusti’s report begs two questions: In 2014, could the Indianapolis public see the portfolio model coming? 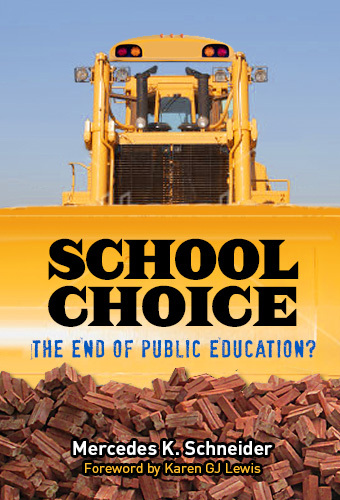 Was there evidence that supporters of the model had the blessings (and financial support) of those pushing reforms that favor charter schools at the expense of community schools– and which yield outcomes designed to move both influence and money away from local taxpayers? The answer to both questions is yes, if one pays attention not only to the declared agenda of the local-level, ed reform candidate but also particularly to the sources of money flowing in to elect that candidate. Granted, it is easier to discuss this issue from 2018 hindsight; however, the candidate who serves as the focus of the remainder of this post, Mary Ann Sullivan, is running for reelection on November 06, 2018, and there is still time for unsuspecting Indiana voters to educate themselves about what she was and is before heading to the polls in November 2018. First of all, beware of those deflecting attention away from “school type” in the name of improving educational opportunities for children,” especially if the candidate offering such advice is drawing quite the trove of funding to support her campaign. Second, check for out-of-state contributions. According to Sullivan’s October 10, 2014, pre-election filing, she already had $51.4K in her campaign chest, including $2,000 in contributions from California billionaire Reed Hoffman, founder of Linkedin, and his wife, Michelle Yee, plus $1,100 from Manhattan, NY-based Democrats for Education Reform (DFER). According to Sullivan’s 2014, end-of-year filing, her campaign received a total of $73.7K for a local school board election– including $2,500 from former New York City mayor, billionaire Michael Bloomberg, and $2,500 from Connecticut billionaire and OxyContin heir, Jonathan Sackler. Out-of-state billionaires spending money on school board elections is a hallmark of the ed reform preference of ushering in charter schools while snuffing out community schools. Finally, where there is market-based ed reform, there is likely notable support from a business entity. In Sullivan’s case, it’s the political action committee (PAC) of the Indianapolis Chamber of Commerce, the Indy Chamber Business Advocacy Committee (BAC). In 2014, Indy Chamber BAC supported Sullivan for a total of $18.8K ($10.5K cash; $8.3K in-kind). Stop and think about that for a second: A candidate for school board has the $18.8K support of a business advocacy committee. it makes sense if one considers that ed reformers view education as a business and charterization of entire districts as an ultimate goal. So, here we are, Indianapolis, in October 2018. IPS is now marketized via the likes of the Mind Trust, which Sullivan endorses, and Sullivan is running for re-election. Sullivan’s 2018 contributions (also here) to date are more modest than in 2014: $11K total, with $8.7K coming from the business PAC, Indy Chamber BAC. Converting neighborhood schools to the portfolio model is part of the business of ed reform, and Sullivan is a conduit for ed reform in IPS. Okay, Indy voters: Now that you know who is financially backing Sullivan, will you reelect her or send her packing? For info on an October 19, 2018, candidate forum, including Sullivan’s defense of ed reform as her challengers, Susan Collins and Joanna Krumel, question and even oppose reforms such as Mind Trust involvement in IPS schools and the presence of charter schools, see this Chalkbeat article. Collins is a retired IPS teacher whose primary funding source to date ($15K) is the United Education Profession PAC, IPACE. Krumel is an IPS parent whose initial campaign filing is for $200. Neither Collins nor Krumel is raking in dollars from either business and industry or out-of-state billionaires. The vote is in your court, Indy citizens.